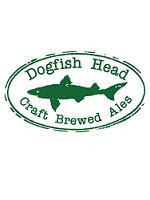 Some great news for Dogfish Head lovers! "It's going to be a fun year for Dogfish Head fans. We're adding Burton Baton to our core of year-round beers, rolling out at least three new off-centered ales and aiming to brew more beer than ever. First up, Burton Baton. The popularity of this oak-aged gentle giant has been steadily ramping up since it was introduced in 2004, and now it's ready for the big time. Burton joins 60 Minute IPA, 90 Minute IPA, Raison D'Etre, Midas Touch, Indian Brown Ale and Palo Santo Marron in our lineup of year-round core beers. The No. 1 thing Dogfish lovers ask for at our pub, in our brewery and on our website is a full-flavored gluten-free beer. Enter Tweason'ale. For our first new 12-ounce 4-packs in nearly half a decade, we replaced the classic barley foundation of beer with a mild sorghum base. The hints of molasses and pit fruit are balanced by vibrant strawberry notes and a unique complexity that comes with the addition of a malty buckwheat honey. You'll find Tweason'ale four times a year -- between the seasons. Lovers of cask ale and other naturally fermented beers will be happy to know that we're bottling brewpub favorite 75 Minute IPA. This animated blend of 60 and 90 Minute is dry-hopped with whole-leaf Cascades and bottle conditioned with maple syrup. Look for the first batch of 750-ml bottles in March. We're also brewing up a little saison science project called Noble Rot. Fermentable sugars for this funky ale come from grapes that have been infected by a benevolent fungus called botrytis. The white-wine vines magnify the sweet-and-sour complexity of this off-centered ale. Watch for a wave of 750-ml bottles early in the year. Although it's not on the schedule, we're going to try to squeeze in a batch of Urkontinent, the Belgian-style dubbel we brewed as a valentine to bootstrapping entrepreneurs around the world. Made with wattleseed, myrica gale, rooibos tea and amaranth, Urkontinent was such a hit at our brewpub that we want to share it with the rest of you. Also, dont miss our new Ancient Ale Ta Henket, inspired by a trip to the Egyptian pyramids. And there's no telling when the music world will inspire us once again. Which legendary artists are next in line? Stay tuned. With all the new beers, we'll have to bid a fond farewell to a few others. Lawnmower, Squall, World Wide Stout, Fort and Pangaea are all going on hiatus, and Shelter Pale Ale will only be available locally on draft. Although we're not planning to enter any new markets in 2012, we are aiming to brew more beer than ever. We can't thank you enough for pouring some in your glasses. Get more details about our 2012 brew schedule here. Cheers!"